Looking to hire a professional 3D rendering modeling designer & graphic print designer artist for your next design needs for Wilmington, Dover, Newark, Middletown, or Smyrna, Delaware DE area business? Capital Exhibits is here to offer you the best graphic design & 3D rendering idea for your company, all at a fantastic value. Let us show you how the right graphic design at low-cost that can help your company grow! We also provide a wide range of printing services such as direct print for indoor, outdoor on Vinyl, fabric, mesh, static cling, canvas and more. Having the right Graphic Designer to create your company logo and promotional materials can make all the difference between you and everyone else. Get ahead of your competitors by adding an innovative touch to how you attract new customers at trade shows and during day to day operations. Whether it is with new signage at trade shows or new business cards to hand out, Capital Exhibits can do it. 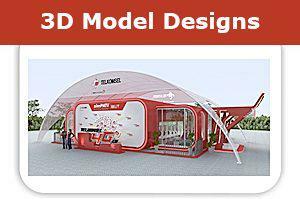 Look for a professional product 3D design or banner design artists to create eye-catching materials for your next product, trade show or exhibition. 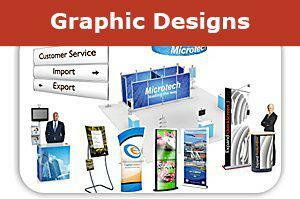 Choose from table top displays, banners, tension fabric displays, pop ups, truss displays, and more! The exhibition and fair graphic design team at Capital Exhibits has the knowledge and experience to create materials for your company that will improve your brand. Capital Exhibits does more than just displays for trade shows. We offer other 3D rendering modeling designs and graphic art design services for products that will help boost brand recognition for your company. We offer services for logo design, business cards, brochure design work, flyers, tee shirt design, and table cloths. Here at Capital Exhibits “We build your best image.” When you choose Capital Exhibits you will experience personal care, great prices, prompt service, and easy to assemble displays. Our customers have said things like “fast, reliable service,” “a responsible price tag,” and “excellent customer service.” Select our team and see how we can offer you the best service and products, too! For all logo design prices, print design pricing, t shirt graphic design prices, and all other graphic design quotes & rates simply visit https://www.capitalexhibits.com/request2.htm and fill out an online form. How to Order? Today Start improving your business and get ahead of your competition by choose one of the top graphic design companies is Delaware. The investment will be one of your best and the ROI will surely speak for itself. Call us today at (866) 730-3746 or email us at [email protected]. We look forward to working with you, so contact us today!